Here is Flxible's one and only articulated New look bus. 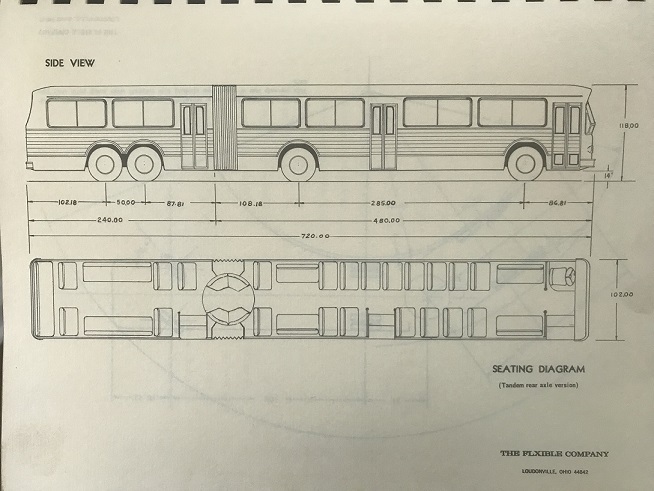 Strong chance that it was only on paper and no actual bus or mock-up was ever built. The brochure is dated 1968. It was referred to as the "Transi-Train"
A/C= powered by Perkins Four-99 diesel engine. The engine was horizontally mounted under the floor! 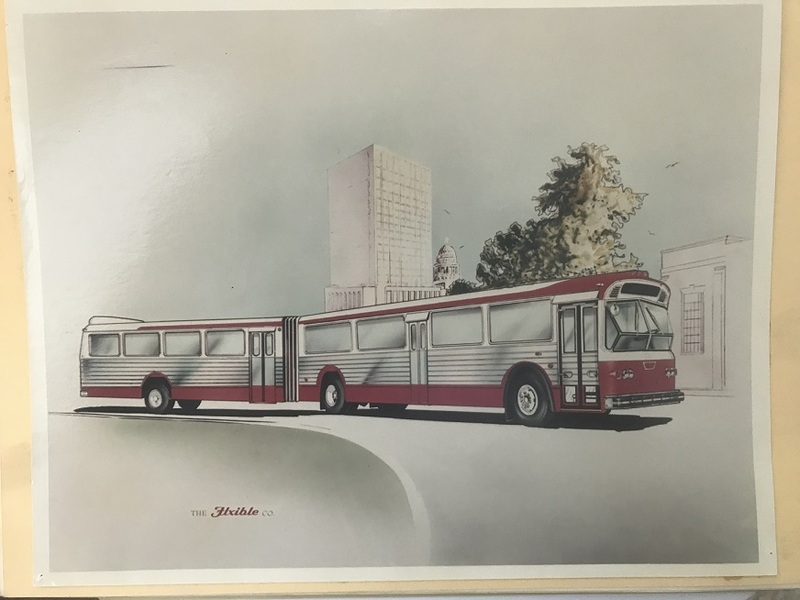 The brochure contains an "Articulated Buses Review and Outlook", history of articulated buses from North American and European manufacturers. 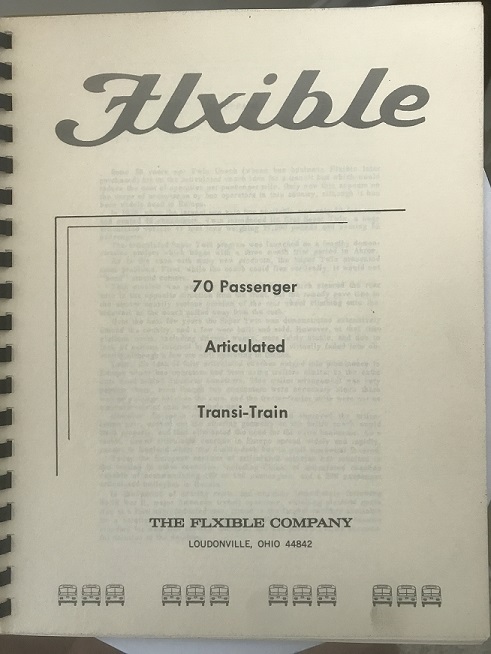 Several pages are devoted to Twin Coach's Super Twin bus with pictures including model 58003 3-axle that was sent to Surface Transportation (NY) in 1940 as demo and ended up at Capital Transit in 1941. As well as the Henry J. Kaiser, Ikarus, Kassbohrer Super Golden Eagle, MAN and Mercedes-Benz. Note the elevetaion shows 4 axles while the artist rendition only has 3 axles. Also, note the style of the windows, more like a Classic than a standard Flxible New Look.